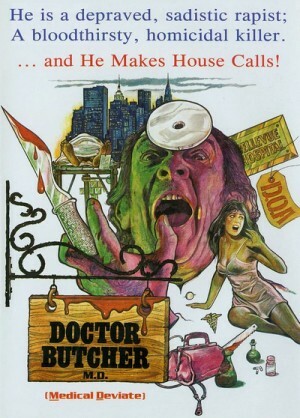 In New York City, a hospital is plagued by a mysterious deviant who is removing organs and limbs from cadavers. The orderly Toran, an immigrant from the Moloto Archipelago, is discovered devouring a heart removed from a corpse but jumps out the window before he can be questioned. Anthropologist/medical doctor Lori Ridgeway recognizes the tattoo on the orderly’s chest as belonging to the cannibal tribes on the island of Keto. She and fellow doctor Peter Chandler, along with two others, set off on an expedition to the Moloto islands to investigate. They are attacked by cannibal tribes and several of the party slaughtered and eaten. • Bonus trailers for "Jungle Holocaust", "Eaten Alive", "Beyond The Darkness" and "Burial Ground"
Many, many thanks my dear friend!!!!!!! !